Looking for the perfect topping for a salad, chicken to throw into a recipe, or even just a satisfying snack? 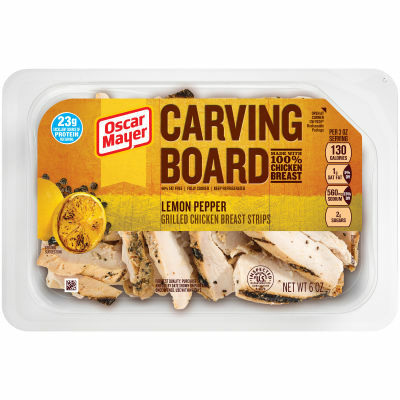 Oscar Mayer CARVING BOARD Lemon Pepper Grilled Chicken Breast Strips are packed with flavor and made with 100% chicken breast, so they're the perfect addition to any meal. Serving size 3 oz (84g).